The Greater New Braunfels Economic Development Foundation (GNBEDF) will host the annual State of the City program on Tuesday, October 17 from 11:30 a.m. to 1:00 p.m. at the McKenna Events Center. While similar presentations have been given in smaller venues in previous years, this is the first time the GNBEDF is organizing it as a public event. 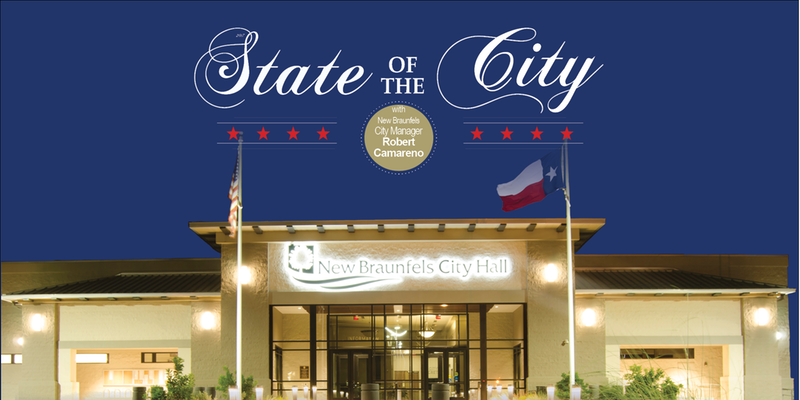 The presentation will be delivered by City Manager Robert Camareno and will provide an update on City programs and initiatives and a report on the latest data on community growth and development. Each attendee will receive an Executive Abstract, a “must-have” for your business growth and development. This is a ticketed event and is currently sold out. The GNBEDF is a 501c3 not for profit with the mission to promote economic development in partnership with the community and private sector locally. Mary Jane Nalley of the Gristmill and Gruene Hall is the Chair of the Foundation for 2017.